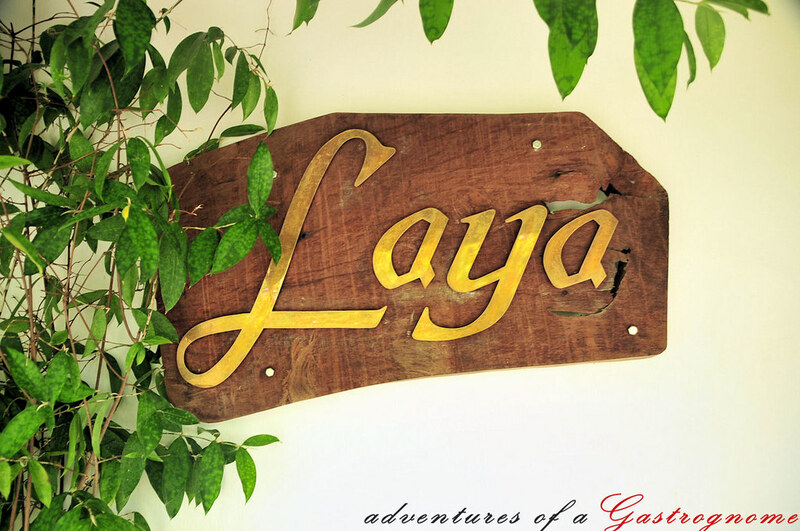 A farewell degustation to one of the country’s most romantic and amazing private restaurants: The Laya Personal Dining. It was a big surprise when one of my friends told me that Laya is closing for good. I can’t believe it since the successful private kitchen is still young, only a year and a half in operation. But when I read their farewell letter in their multiply site, that’s when it hit me. I have to try their Degustation no matter what. Without further delay, I texted them for a reservation for me and my 2 best friends. 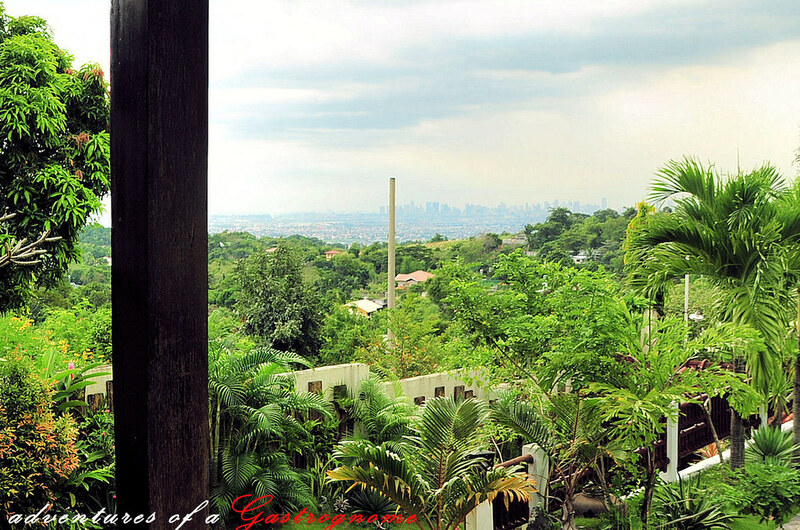 Laya is hidden in the hills of Antipolo, less than an hour’s drive from Quezon City. The distance you travel, the privacy, the cool breeze and the view, a skyline of Metro Manila, gives the whole Laya experience a different kind of elation. 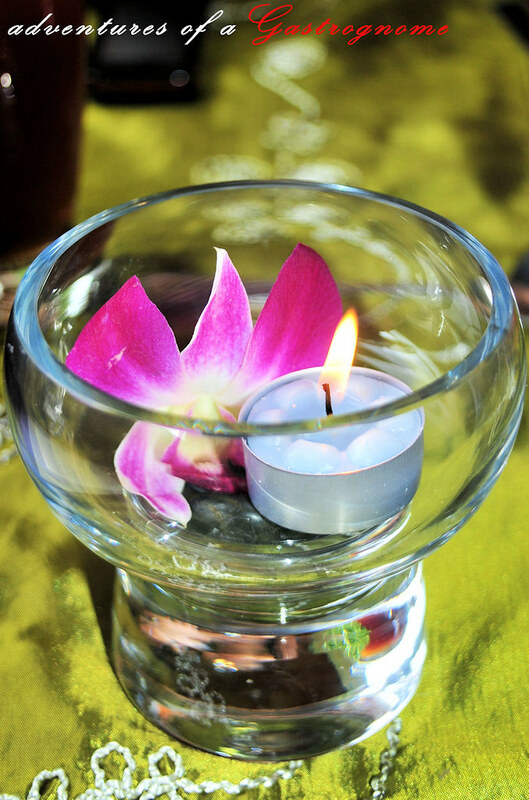 True enough, our experience holds proof that Laya is really a place of relaxation and rest. 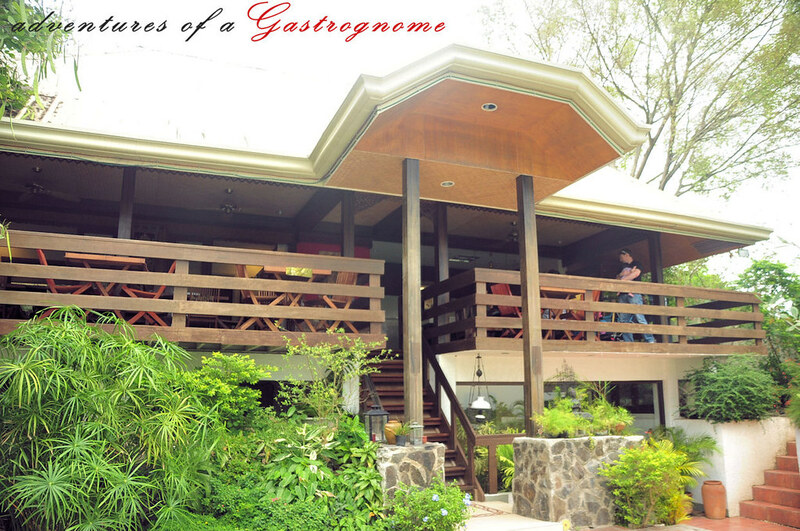 The slow-paced time and the peaceful ambiance impart a renewed vigor. Just like how you feel after you spend some time in the spa. The resthouse itself is already a marvelous experience. The house is set back from the entrance so you have to walk a few meters. The short walk gives you the full view of the house and the garden. 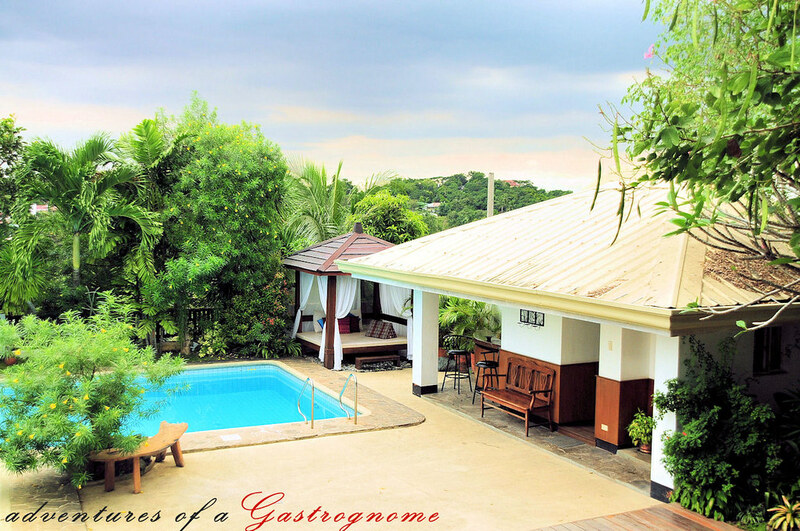 The restaurant area is an open balcony on the second floor giving you a full view of the pool, the nearby lush surroundings and the Manila skyline. Interior is a fusion of different cultures. The ceiling is like that of banig or wooden mat and the design is mainly of wood. 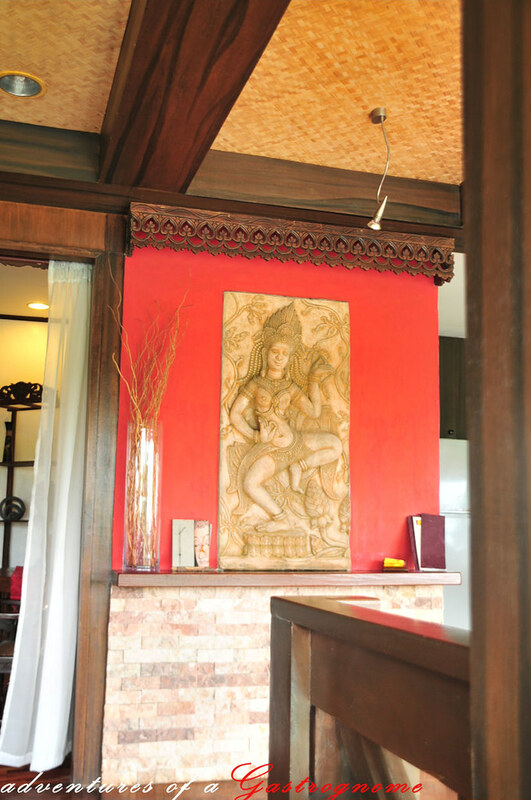 Sculptures and rugs of different Asian cultures lined up the walls. 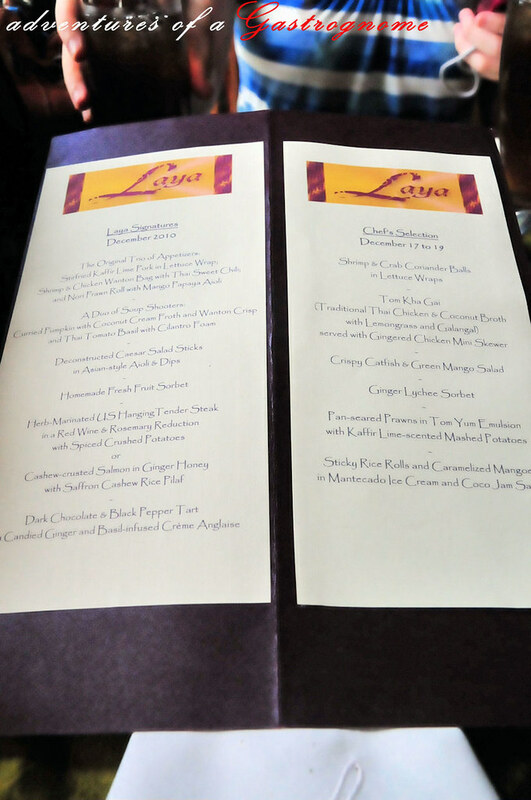 For the food, Laya offers 2 sets of 6-course menu. 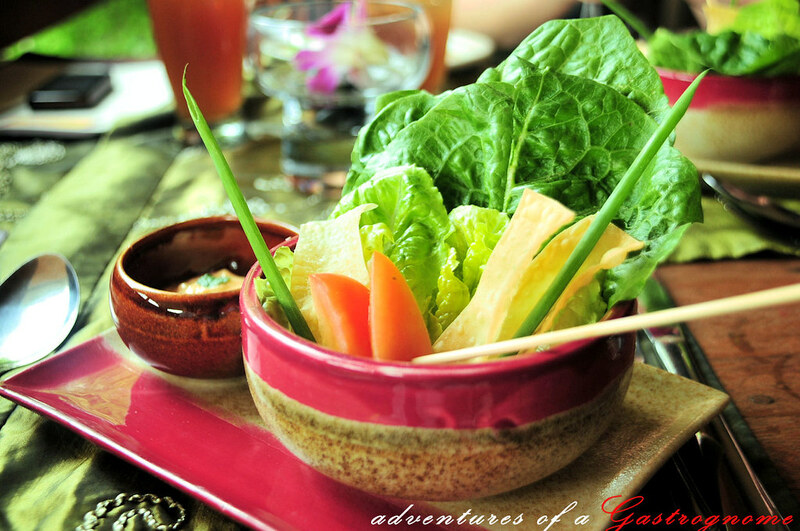 A set includes a 6-course menu of your choice, an amuse-bouche and a refillable Pandan Iced Tea for P750 (around $17). Now that’s a bargain. The first set is the Laya Signature which is always available while the second set, the Chef’s Selection, changes every week. 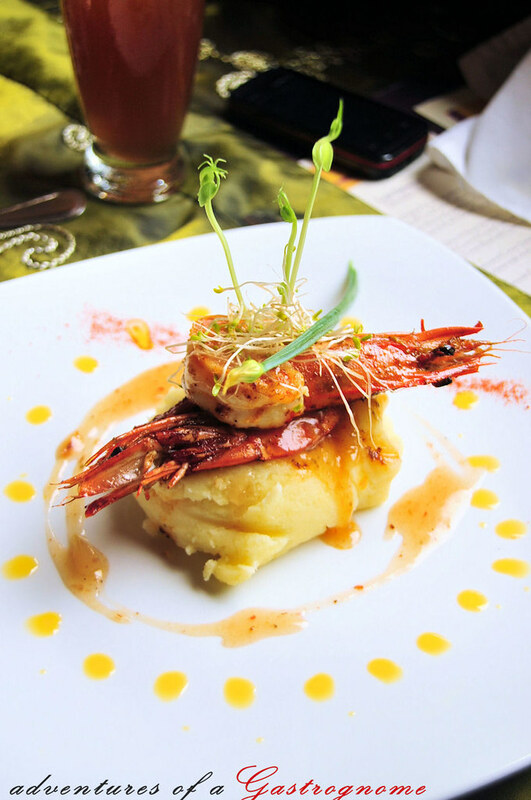 Each dish is prepared artistically and even tastes fresh and stimulating. Amuse-bouche. The starter for both course menus. Judy and I ordered the Laya Signature while Lauren ordered the Chef’s Selection. The Original Trio of Appetizers: Stir fried Kaffir Lime Pork in Lettuce Wrap; Shrimp & Chicken Wanton Bag with Thai Sweet Chili; and Nori Prawn Roll with Mango Papaya Aioli. The vegetables are fresh and crunchy. When you’re finished eating this trio, you get really excited on what the next dish will be. 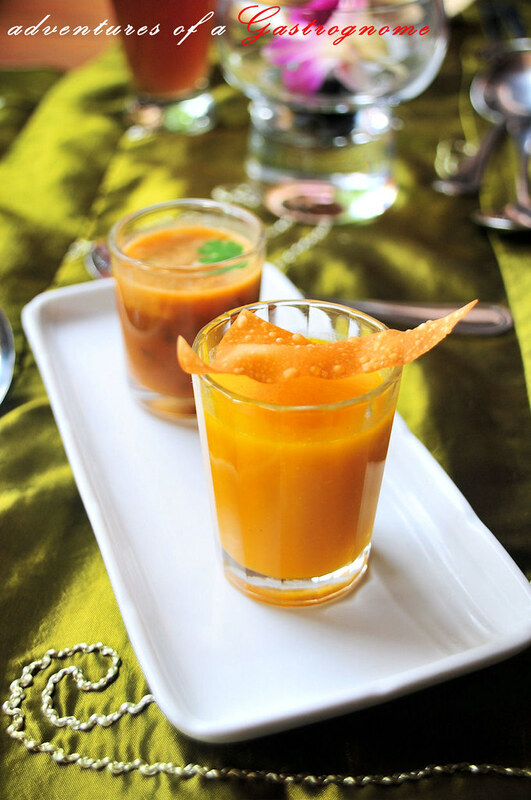 A Duo of Soup Shooters: Curried Pumpkin with Coconut Cream Froth and Wanton Crisp; and Thai Tomato Basil with Cilantro Foam. I love the Thai Tomato Basil. It’s a light soup, almost tastes like V8 vegetable juice. But the added basil and the foam makes this soup even more interesting. It’s like a shot of a healthy guiltless latte. Deconstructed Caesar Salad Sticks in Asian-style Aioli Dips. The presentation of the Caesar salad is ingenious. If I’ve had the chance to see this before, I would have made it my concept on one of our design plates. The vegetables are crisp but the dip lacks flavor. This is my least favorite of all. 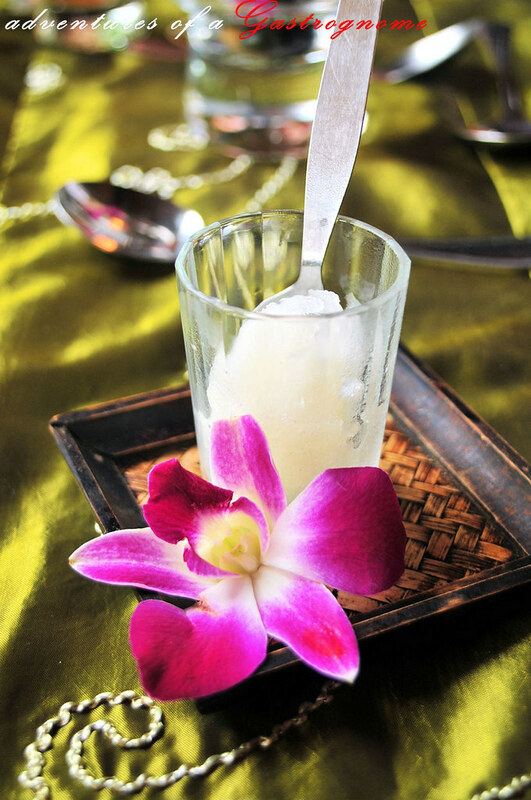 Homemade Lychee Sorbet. This sorbet is superb. If all Lychee sorbets taste like this, then I can probably eat 1 liter of this thing in one seating. 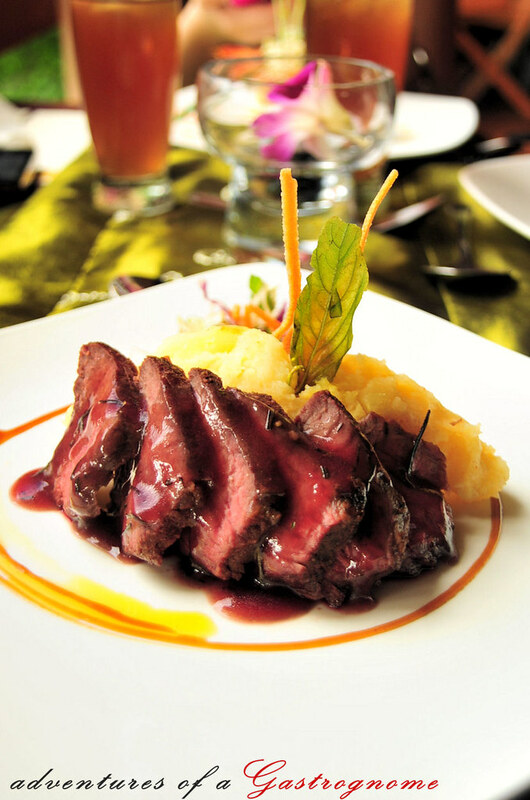 Herb-Marinated US Hanging Tender Steak in a Red Wine & Rosemary Reduction with Spiced Crushed Potatoes. The steak is succulent and tender. It’s cooked just the way I like it. And the spiced potatoes are flavorful. It goes so well with the steak. 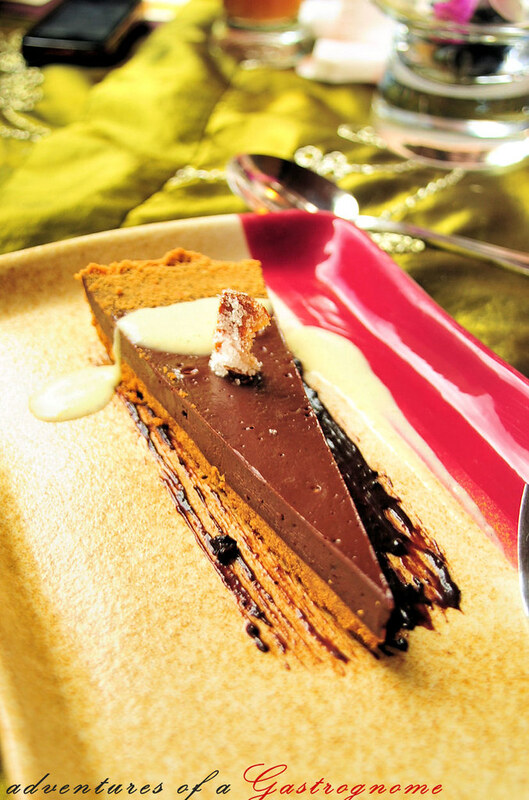 Dark Chocolate & Black Pepper Tart with Candied Ginger and Basil-infused Crème Anglaise. This dessert is a little confusing particularly the ginger and the basil crème but surprisingly, the whole thing tastes great. The first bite is a little baffling with the chocolate a little too bitter. But as you go on to the next bite, the chocolate seems to balance the other flavors. Before you know it, the cake is all gone and you’re smitten. 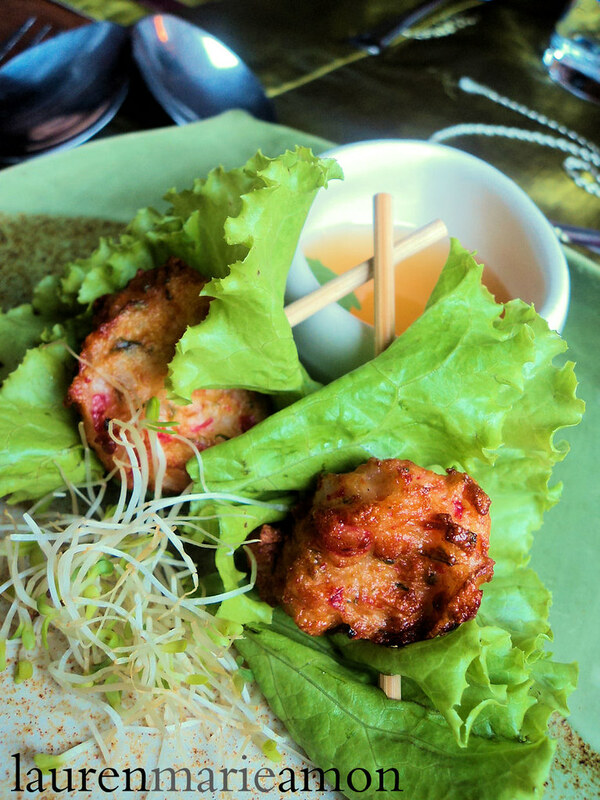 Shrimp & Crab Coriander Balls in Lettuce Wraps. The crabs overpowered the shrimp though the size is just right. Perfect for popping them straight in your mouth. 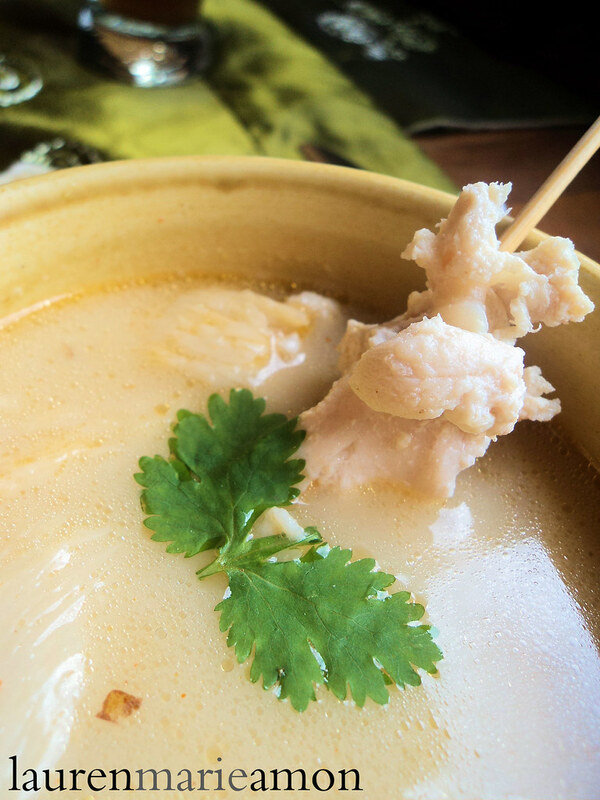 Tom Kha Gai (Traditional Thai Chicken & Coconut Broth with Lemongrass and Galangal) served with Gingered Chicken Mini Skewer. This one’s my favorite dish. Very sour and milky and sweet all at the same time, with the very tender chicken to top it all off. 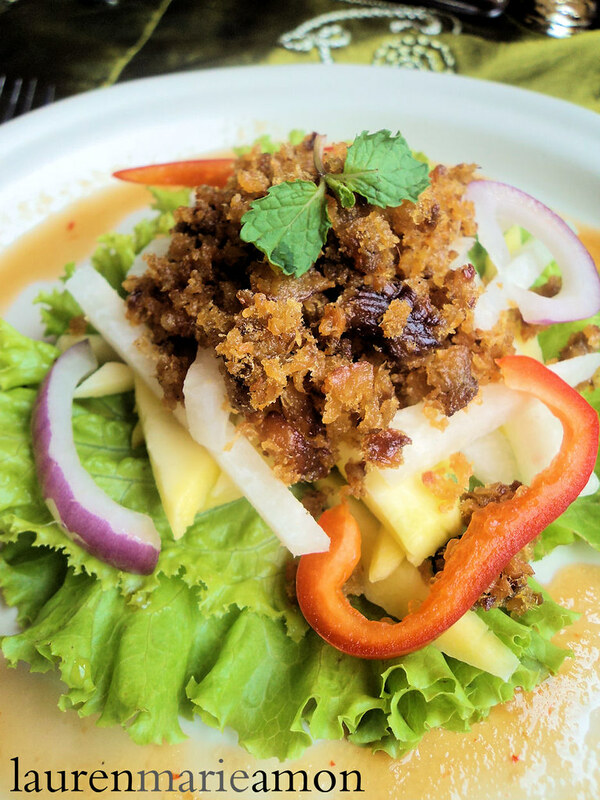 Crispy Catfish & Green Mango Salad. I loved the sour dressing coupled with the green mango slices. The serving size was just a tad too big for one person. 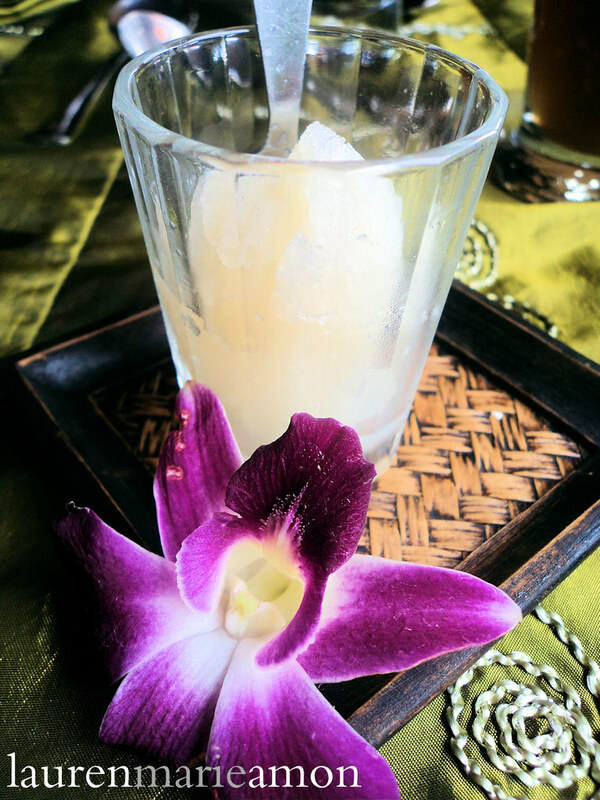 Ginger Lychee Sorbet. 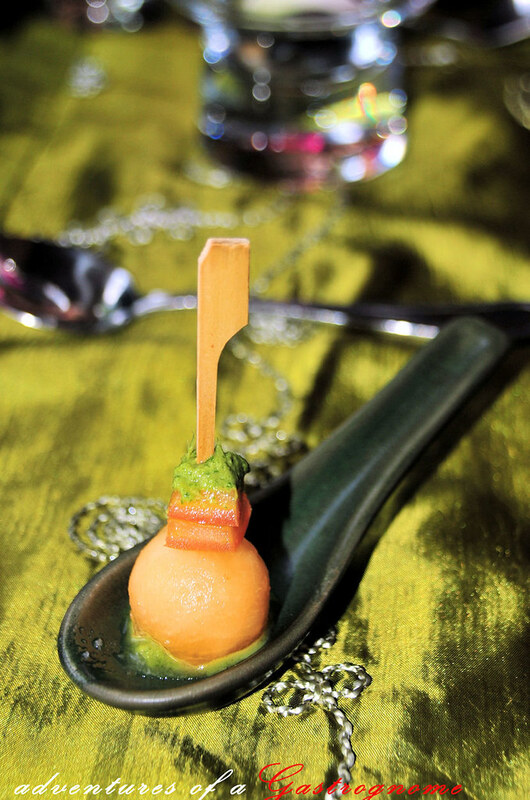 This sorbet teaser is very small but terribly delicious. 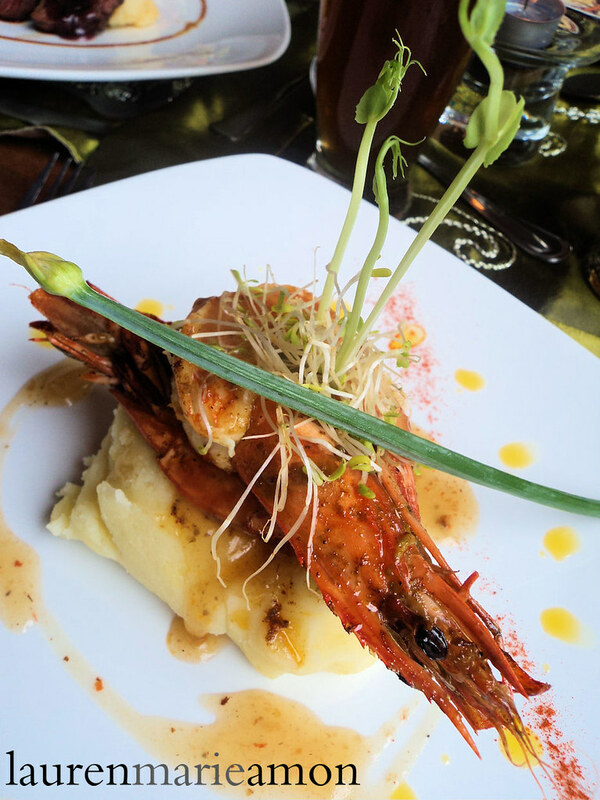 Pan-seared Prawns in Tom Yum Emulsion with Kaffir Lime-scented Mashed Potatoes. 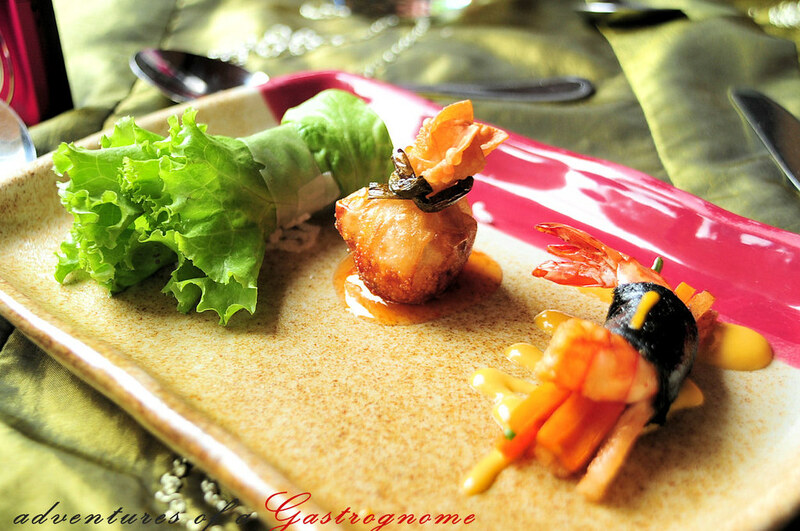 The fab presentation really portrays how high impact this dish is, with the shrimps cooked to perfection. 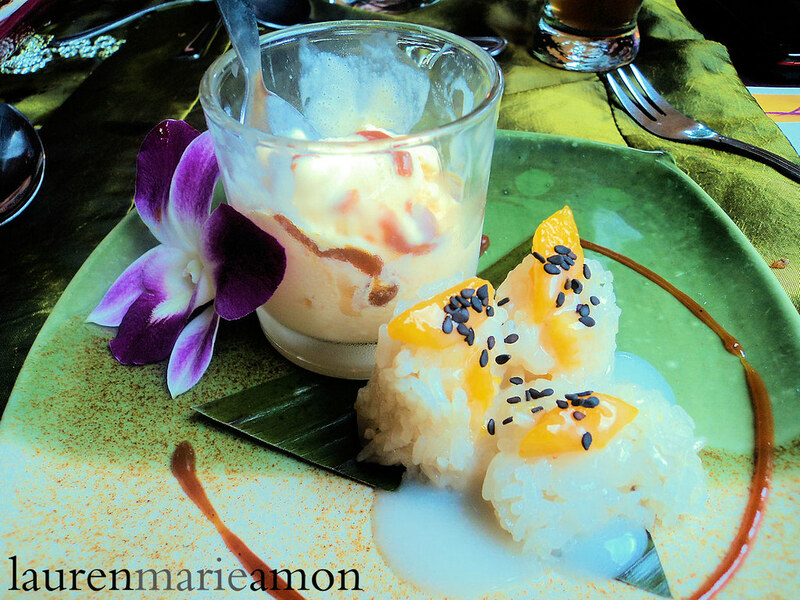 Sticky Rice Rolls and Caramelized Mangoes in Mantecado Ice Cream and Coco Jam Sauce. Were the mangoes really caramelized? I didn’t notice. The waiters are attentive and friendly, the ambiance is peaceful and the food is great. Even Chef Ricci, the head chef and owner, visited our table and asked how the food was. Sadly, all things come to an end and Laya is closing for good. But we are thankful that we get to experience Laya’s 2nd to the last weekend of service. 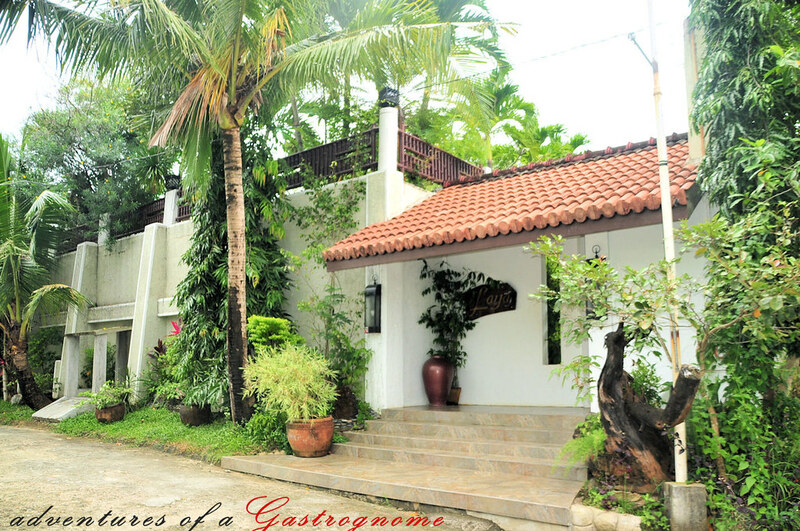 Laya is located in Sierra Madre Street, Grande Heights Subdivision, Antipolo, Rizal. NOTE: Laya’s last week of service is on December 25 to 27, a Special Christmas 12-course menu for P1,000.00. That's good news. A lot of my friends were asking where to find you. I'll tell them you'll reopen this 2011. They'll be thrilled. Very nice and reassuring to hear that they are reopening and quite lucky to be be part of Dr. Cuanang's art world. Eat at any of the restaurants in the Maginhawa St., Teacher's village or UP Village and you'll be surprised that it is emergerging hub for gastronomes . .